Lisburn ( or ; from Irish: Lios, meaning "fort" + Scots burn, meaning "stream"; "fort of the stream") is a city in Northern Ireland. It is 8 mi (13 km) southwest of Belfast city centre, on the River Lagan, which forms the boundary between County Antrim and County Down. Lisburn is part of the Belfast Metropolitan Area. It had a population of 71,465 people in the 2011 Census. Formerly a borough, Lisburn was granted city status in 2002 as part of Queen Elizabeth II's Golden jubilee celebrations. It is the third-largest city in Northern Ireland. Lisburn is one of the constituent cities that make up the Dublin-Belfast corridor region which has a population of just under 3 million. The town was originally known as Lisnagarvy (also spelt Lisnagarvey, Lisnegarvey, Lisnegarvy, Lisnegarvagh or Lisnagarvagh) after the townland in which it formed. This is derived from Irish Lios na gCearrbhach, meaning 'ringfort of the gamesters/gamblers'. The origin of the town's current name is uncertain. The modern spelling Lisburn first appears in a January 1662 entry in church records. After February 1662, the name Lisnagarvy is no longer found in the records. 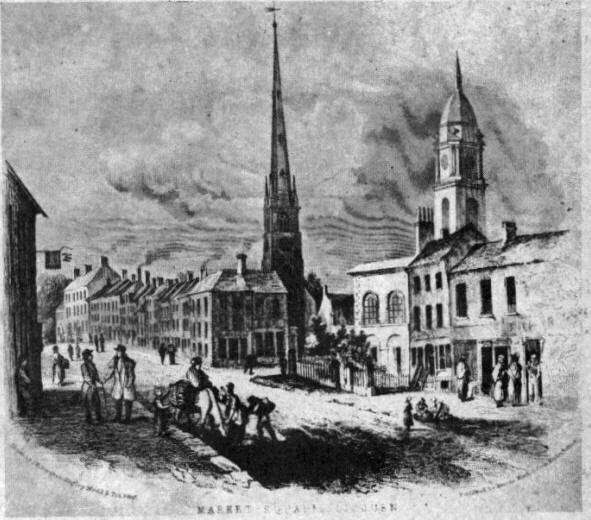 It is commonly believed that the town was renamed after being burnt during the Irish Rebellion of 1641. In his book Lisburn Cathedral and Its Past Rectors (1926), Reverend WP Carmody argues "This seems to be most improbable; after twenty years the burning would be a memory, and the loyal people of the town would not be disposed to give it a name that would be forever reminiscent of its destruction by rebels". There is evidence that the name existed even at the time of the rebellion. In the depositions concerning the rebellion, an English soldier stated on 9 June 1653 that the rebels entered the town of Lisnagarvy at "a place called Louzy Barne". Carmody believes that, in the town's early days, there were two co-existing ringforts: Lisnagarvy to the north and Lisburn to the south. He suggests that both names come from Irish and concludes: "Lisburn, being shorter and more easily pronounced by the English settlers, became the familiar name and Lisnagarvey gradually dropped out". The original name is still used in the titles of some local schools and sports teams. Lisburn's original site was a fort located north of modern-day Wallace Park. In 1609 James I granted Sir Fulke Conway, a Welshman of Norman descent, the lands of Killultagh in southwest County Antrim. During the 1620s the streets of Lisburn were laid out just as they are today: Market Square, Bridge Street, Castle Street and Bow Street. Conway brought over many English and Welsh settlers during the Ulster Plantation; he also had a manor house built on what is now Castle Gardens, and in 1623, a church on the site of the current cathedral. In 1628, Sir Edward Conway, brother to the now deceased Sir Fulke, obtained a charter from King Charles I granting the right to hold a weekly market. This is still held in the town every Tuesday. The Manor House was destroyed in the accidental fire of 1707 and was never rebuilt; the city's Latin motto, Ex igne resurgam ("Out of the fire I shall arise"), is a reference to this incident. In 1920, disturbances related to the ongoing Irish War of Independence saw almost all of Lisburn's Catholic businesses burned out and many of the town's Catholic population forced to flee. The town was one of the first to recruit special constables, who went on to become part of Northern Ireland's Ulster Special Constabulary. Between 1954 and 1992 Lisburn contained the operational headquarters of No 31 Belfast Group Royal Observer Corps who operated from a protected nuclear bunker on Knox Road within Thiepval Barracks. Converted from a 1940s Anti-aircraft Operations Room (AAOR), the bunker would support over one hundred ROC volunteers and a ten-man United Kingdom Warning and Monitoring Organisation warning team responsible for the four-minute warning in the event of a nuclear strike on the UK. The ROC would also have detected radioactive fallout from the nuclear bursts and warned the public of approaching fallout. The two organisations were disbanded in 1992 at the end of the Cold War. In 2007 a commemorative plaque was mounted on the wall of the nuclear bunker which still stands, in recognition of the service of ROC volunteers in Northern Ireland. The north and south divide in Lisburn can be seen either side of the railway line that goes through the centre of the city. North Lisburn is home to many of the residential neighbourhoods, and contains the notable landmarks of the Theipval Barracks, and the Laurelhill Sportszone. Lisburn is the administrative centre of Lisburn and Castlereagh City Council area, which also includes Mazetown, Hillsborough, Moira, Dromara, Glenavy, Dunmurry and Drumbo. In elections for the Westminster Parliament the city falls mainly into the Lagan Valley constituency but partly into West Belfast. The headquarters of the British Army in Northern Ireland at Thiepval Barracks and the headquarters of the Northern Ireland Fire and Rescue Service are located in the city. Lisburn is notable for its large number of churches, with 132 churches listed in the Lisburn City Council area. One of two cathedrals in the Church of Ireland Diocese of Connor is in Lisburn, Christ Church Cathedral. 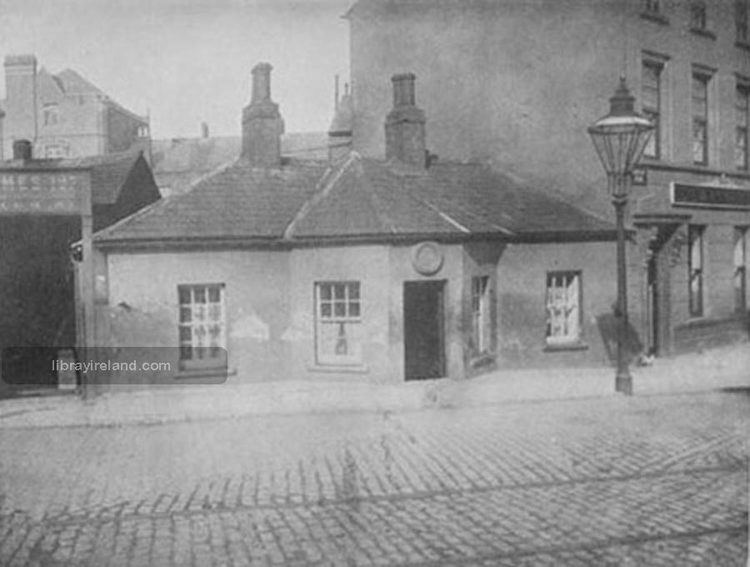 Lisburn railway station was opened on 12 August 1839. The railway remains a popular means of transport between Lisburn and Belfast, with the express trains taking 10–15 minutes to reach Belfast's Great Victoria Street. The train also links the city directly with Newry, Portadown, Lurgan, Moira and Bangor. The station also has services to Dublin Connolly in the city of Dublin, with three trains per day stopping at the station. All railway services from the station are provided by Northern Ireland Railways, a subsidiary of Translink. The city is also served by Hilden railway station. Ulsterbus provides various bus services that connect the city with Belfast city centre, which lies eight miles northeast. These services generally operate either along Belfast's Lisburn Road or through the Falls area in west Belfast. In addition to long-distance services to Craigavon, Newry and Banbridge, there is also a network of buses that serve the rural areas around the city, such as Glenavy and Dromara; as well as an hourly bus service 6am-6pm Monday-Saturday to Belfast International Airport. The city has a vast network of local buses, serving the local housing developments and amenities. These are operated by Ulsterbus. A new Bus Centre, provided by the regional public transport provider Translink, opened on 30 June 2008 at the corner of Smithfield Street and the Hillsborough Road. It replaced the shelters that formerly stood in Smithfield Square. The city has a favourable position on the Belfast-Dublin corridor, being connected with the former by the M1 motorway from which it can be accessed through junctions 3, 6, 7 and 8. The A1 road to Newry and Dublin deviates from the M1 at the Sprucefield interchange, which is positioned one mile southeast of the city centre. An inner orbital route was formed throughout the 1980s which has permitted the city centre to operate a one-way system as well as the pedestrianisation of the Bow Street shopping precinct. In addition to this, a feeder road leading from Milltown on the outskirts of Belfast to Ballymacash in north Lisburn, was opened in 2006. This route connects with the A512 and permits traffic from Lisburn to easily access the M1 at junction 3 (Dunmurry) thus relieving pressure on the southern approaches to the city. The Lagan Canal passes through Lisburn. This connected the port of Belfast to Lough Neagh, reaching Lisburn in 1763 (although the full route to Lough Neagh was not complete until 1793). Prior to World War II the canal was an important transportation route for goods, averaging over 307,000 tons of coal per year in the 1920s. Following competition from road transport, the canal was formally closed to navigation in 1958, and grew derelict. A short stretch and lock in front of Lisburn Council offices was restored to use in 2001. 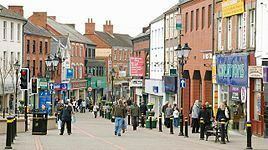 Lisburn has become one of the main towns/cities in Northern Ireland for shopping. Bow Street Mall, on Bow Street, houses over 70 stores, many eateries (including a food court) and a multi-storey car park with over 1000 spaces. The nearby pedestrianised city centre has numerous local independent shops such as McCalls of Lisburn, Smyth Patterson & Greens Foodfare, as well as many national and high street fashion stores. Lisburn Square, located off Bow Street, is an almost outdoor shopping centre. It houses many high street stores as well as bars, restaurants and cafes. Sprucefield Shopping Centre and Sprucefield Retail Park are two large retail parks located about 2 minutes from the city centre. The first of its kind in Northern Ireland, it has become very popular with residents from all over Northern Ireland, and from as far away as Dublin. This is mainly due to its favourable position on the Belfast-Dublin corridor. It houses many warehouse type stores including B&Q, Toys'R'Us and Marks and Spencer. The local area code, like the rest of Northern Ireland is 028. However all local 8-digit subscriber numbers are found in the form 92xx-xxxx. Before the Big Number Change in 2000, the STD code for Lisburn and its surrounding area was 01846, having previously been 0846. As with the rest of the British Isles, Lisburn experiences a maritime climate with cool summers and mild winters. The nearest official Met Office weather station for which online records are available is at Hillsborough, about 3 miles south south west of the city centre. Averaged over the period 1971–2000 the warmest day of the year at Hillsborough will reach 24.3 °C (75.7 °F), although 9 out of 10 years should record a temperature of 25.1 °C (77.2 °F) or above. Averaged over the same period, the coldest night of the year typically falls to −6.0 °C (21.2 °F) and on 37 nights air frost was observed. Typically annual rainfall falls just short of 900 mm, with at least 1 mm falling on 154 days of the year. Water can be supplied from Dams and nearby rivers thanks to the rainfall and mountains. In the 19th Century, Duncan's Dam provided the town with water and now serves as a free public park. The main hospital in the city is the Lagan Valley Hospital, which provides Accident and Emergency services to the area. The hospital lost its acute services in 2006. Residents now must travel to Belfast for acute surgery. The Lagan Valley lost its 24-hour A&E from 1 August 2011 due to a shortage of Junior Doctors. It will now instead be open 9am-8pm and will be closed on weekends. This has caused much controversy as residents of the city will now have to travel to Belfast or Craigavon. Primary care in the area is provided by the Lisburn Health Centre, which opened in 1977. The city lies within the South Eastern Health and Social Care Board area, formerly known as Down and Lisburn Trust. In November 2012 the Award of 2013 European City of Sport was officially handed over to Lisburn at a presentation ceremony at the European Parliament in Brussels. Lisburn Distillery is an association football club playing in the NIFL Championship and based at Ballyskeagh, on the outskirts of the city. Ballymacash Rangers F.C. play in the Mid-Ulster Football League. Lisburn Rangers F.C. play in the Northern Amateur Football League. Downshire Young Men F.C. play in the Northern Amateur Football League. The city remains a key centre for youth football, hosting most games in the 'Lisburn Junior Invitational League', an amateur youth league which incorporates many teams from across the east of Ulster. Sir Richard Wallace created baronet in 1871 and was Member of Parliament for Lisburn from 1873 to 1885. David Trimble lives within the city. Senior Ulster Defence Association leader John McMichael (1948–1987) was a native of Lisburn. Linguist, academic and author David Crystal OBE was born in Lisburn in 1941. Damien Johnson, Northern Irish international footballer was born here. Singer-songwriter Duke Special was born in Lisburn in 1971. Mary Peters lives in Lisburn. Barry Fitzgerald was born in Lisburn in 1972. Jonny Ross, Northern Irish bowler from Lisburn. Anna Cheyne 1926–2002 Artist and sculptor long time resident of Lisburn. Donna Traynor. Journalist born in Lisburn. Sir John Milne Barbour, 1st Baronet JP, DL (1868–1951) a Northern Irish politician and baronet. John Doherty Barbour JP DL (1824–1901) Irish industrialist and politician. William H. Conn (1895–1973) was an Irish cartoonist, illustrator, watercolourist and poster artist.